A “Vive la France” themed PokerStars party which will be held at Med Garden on April 29 from 20:00 to midnight. Free food and drink will be on offer and all PokerStars qualifiers will have access to the exclusive VIP area. Free Ferrari and McLaren driving activity open to all PokerStars qualifiers – just don’t forget your driving license! To book your lesson, visit the welcome desk during opening times – first come, first served. Players’ Lounge. 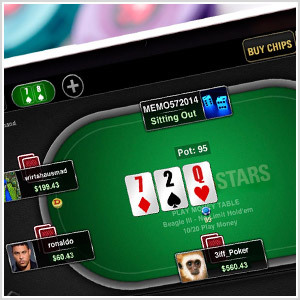 Are you a PokerStars online qualifier? Come to the welcome desk and collect your VIP wristband to access our Players’ Lounge where you will be able to relax, meet and have a chat with some other online qualifiers, Team Pros and PokerStars staff.